yes, I screwed a treated pine sleeper to the fence posts at the back to spread the load of the soil in the garden bed. This photo here shows how I positioned it. So the next phase of the backyard landscaping has been done and I chose to get the professionals in. Tom at Lifetime Decking came and knocked this up in a week. 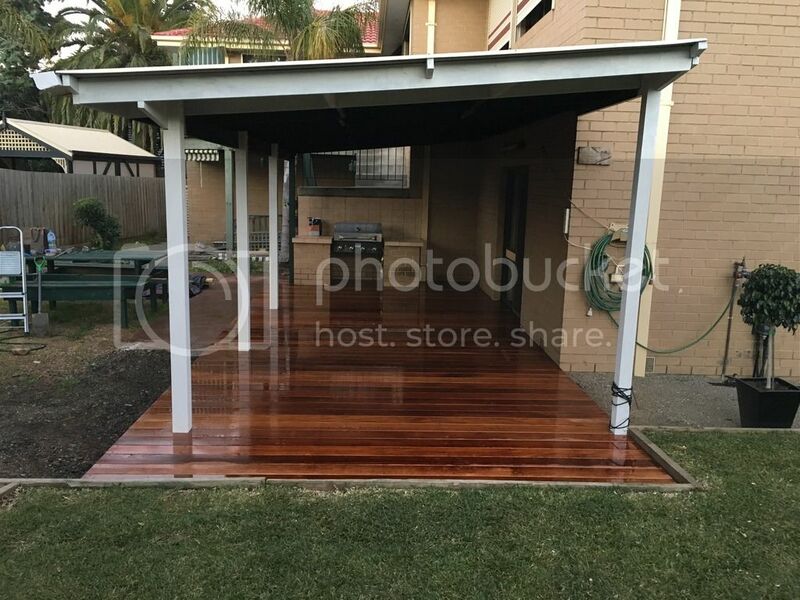 Single length Merbau cover the 8x4m pergola floor which was previously an unsightly cracked concrete with a tiled add on. 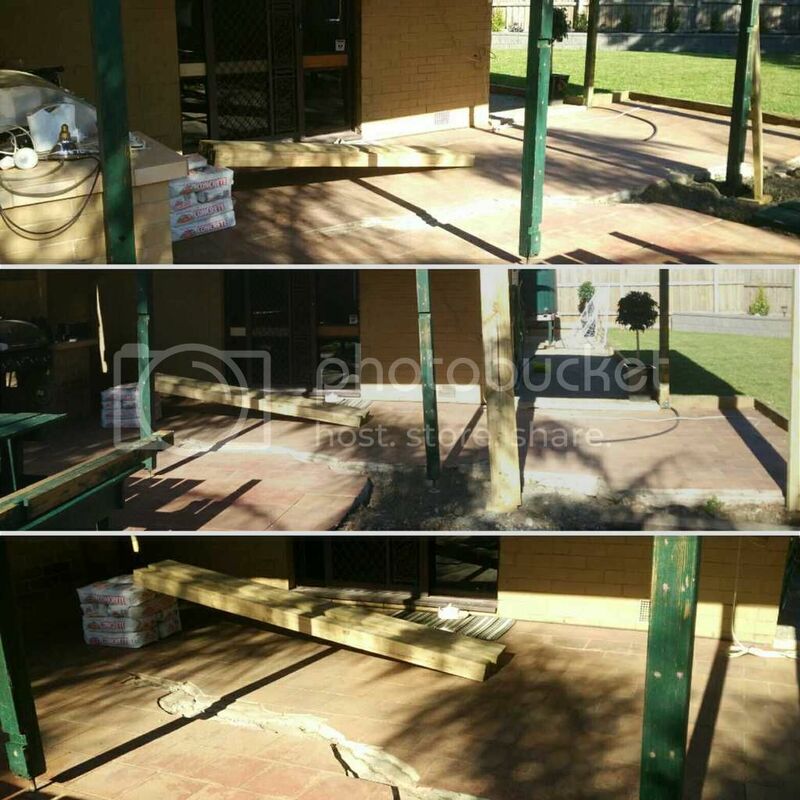 A lick of paint on the pergola and in about a month a splash of oil on the deck and it will be awesome. If you're in the north western suburbs of Melbourne and want a top notch bloke who's got fantastic attention to detail, give Tom a buzz. Here's some pics to show the work. Next is the final stage which is the courtyard area directly adjacent to the pergola. That is going to be a sizeable job and need to finalise the design and get some quotes. Very nice!! Looks like they did a great job. What are you thinking with the courtyard? Really want to update this thread with the extra work that's taken place over the past 12 months but bloody photo bucket changing their hosting terms for 3rd party image linking has me stuffed. How are others linking photos now for thread updates? 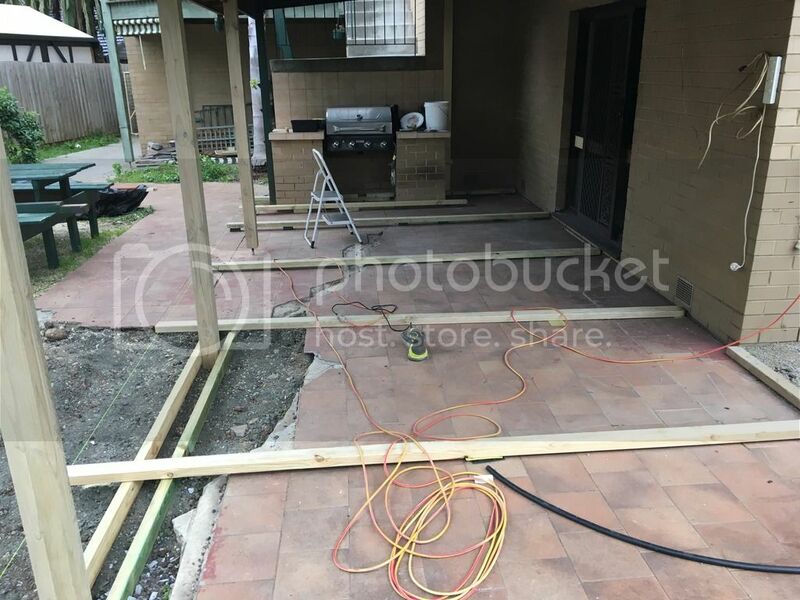 Ok, so the last update in June last year was when we covered the cracked concrete and tiled pergola floor with the Merbau decking. Next step was to replace the colour bond roof of the pergola as we wanted to let some more light in to the space and also freshen the colour up from the old cream to a grey which is in keeping withe our colour scheme. Removing the roof also made it a lot quicker to apply a new coat of paint to the timber. Original colour was mission brown and heritage green which made the space dark so a light grey colour brightened it up. We had one last major space in the back yard to renovate. We were tossing up between doing a large courtyard with inbuilt bench seating and a pizza oven and some shade cloth or potentially putting a pool in. Decision was made to put in a pool. After a lot of research, we decided to go with a fibreglass shell by Leisure Pools. 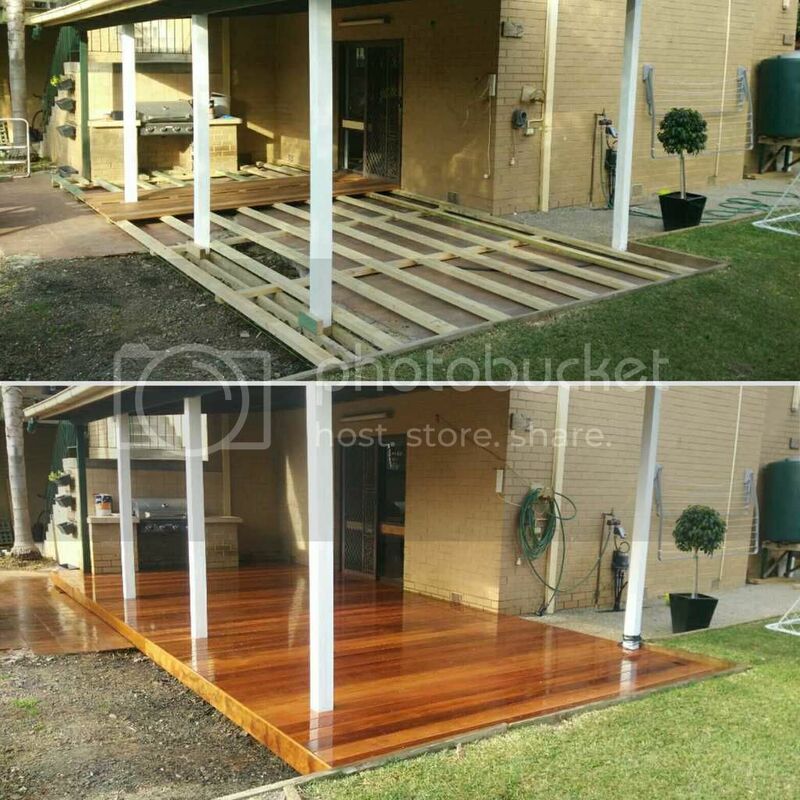 We went the Acclaim model which gives us a large splash deck and fit the space the best. Dig complete and base laid. Quick crane lift over the house and in she goes.... like a glove. This was all done in the space of 2 days. Another couple of days for the plumbing and fitting off of the pool equipment and we were ready to concrete. After the concrete was laid, had to wait 6 weeks for it to cure fully before getting the paving done. Not bad for one weeks work. Chose to go with a grey granite paver. Here's the coping being put into position. It's all about the lighting. Looking back at the space when we started this project nearly 18 months ago, it's amazing to see how far it's come. Thanks Cat. It's been hundreds of hours of work and just as many hours researching and designing different options. Bit more of an update now. So the paving has been completed and the next steps were to complete the pool fencing. I really want this to feel like a bit of an oasis and wanted a touch of warmth to the granite pavers. So I decided to build out a merbau slatted screen to cover the old fence. This was really a labour of love. 260+ 1.8m slats that were stained front, back and top and bottom. Along with the cypress posts. Then it was time to stain the slats. Went with Cutek Extreme which I'm hoping will only need to be reapplied once every 2-3 years. In order to fix the slats to the posts, I bought the Whites Screen-up. Once I fixed the black channels to the posts, it was then simply a case of cutting the slats to size, then sliding them down. I cut 4mm spacers that are used for decking spacers, to put between the slats as the standard spacers that come with the Whites are either 20mm of 10mm and I wanted a more closed look. I ended up being about 15 slats short so I have placed larger spacers at the bottom along the longer side. I will go back and fix this before putting a second coat of stain on. All finished... turned out better than I imagined. Last step before being able to sit back and fully relax is to put in the glass fence along the other sides. Decided to give this a crack as as DIY project so bought the glass from a trade shop up in QLD and got it freighted down to Melbourne and got cracking. Didn't take a heap of photos of doing this because hey, it's glass, it's clear, it doesn't really show up that well in pictures. One thing you need if you're going to do this is muscles. These panels are NOT light. Hired a core driller from Kennards to cut out the 24 cores needed for the spigots. Then cut 50mm bits of wood to space the bottom and then cut 1800mm posts with slats in them to get the panels square before filling the cores with cement. I have one final thing to do which is install some downwards facing baton lights on the posts to give a bit of lighting for that area when it's dark but other than that, we've got a finished back yard. Demolition was super quick and took all of an hour to rip up the screen and all the old boards. What we found underneath was a decent amount of dry rot in one of the support beams. Luckily the beams were massive and even with cutting out the damaged bit, there was still ~170mm of good timber left. We patched it up and put an additional cross beam in to provide additional support. 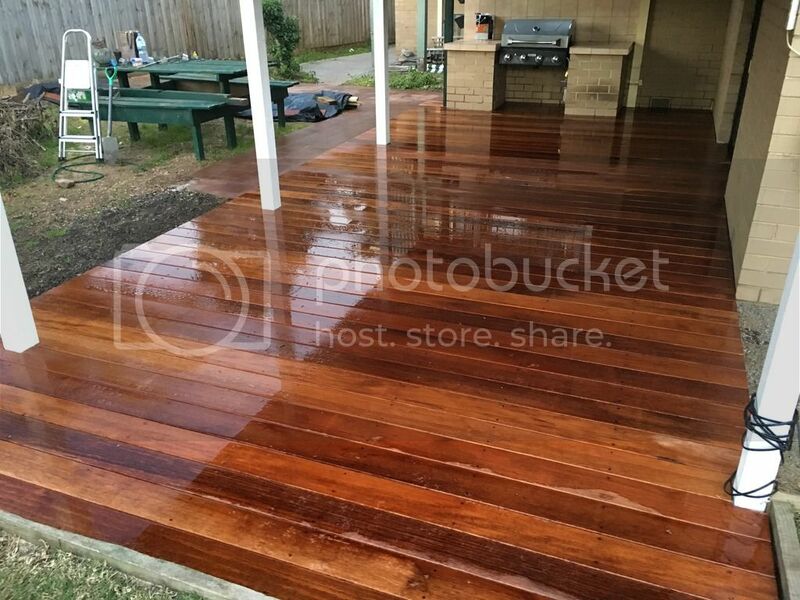 Keeping with the Merbau theme, I got 140mm boards delivered and stained them with the same Cutec extreme which I'd done the screening around the pool. ~500 screws later, this was the result. 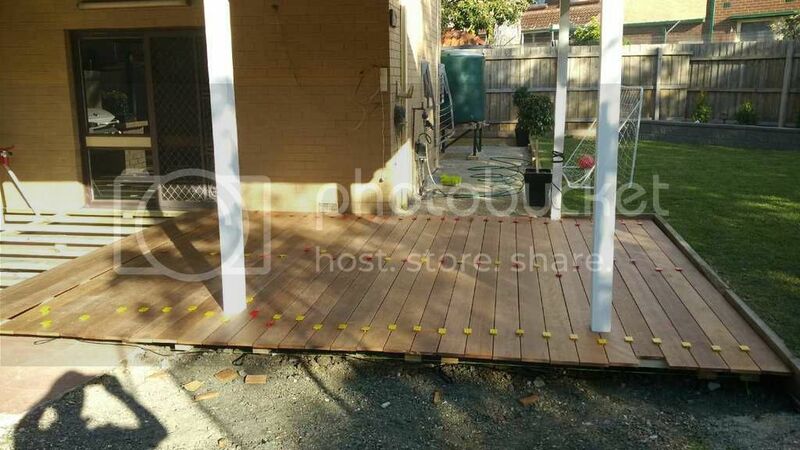 This deck looks directly into the neighbours backyard so putting up some privacy screen was needed. I wanted a bit of a break from the timber so bought some block out screen and played around with a few designs before settling on this final setup. The finishing touch was to put a bar top on the side facing the pool with some wire balustrading. All we need now is a couple of outdoor stools and we can sit up here watching the kids splash about for the rest of summer. Need your help, I am building a fiberglass pool with Leisure Pools. 1. The site manager forcibly asked to change our plan or the location of our frameless glass pool, unless we at least $400 for additional concrete. I 'managed to negotiate' I will only pay $200, just to keep going the building of the pool. 2. Now, the pavers, we selected the Travertine Sahara, something lighter color than the Mocha-Walnut. But then when the pavers completed, it looks like 30 to 40% are Mocha or darker color, please see the photos. 3. And then, the quality of the installation, there are many damage pavers, the holes are deep too. For item# 2, do you think I can ask to replace that darker Mocha Travertine paver with Sahara lighter paver? 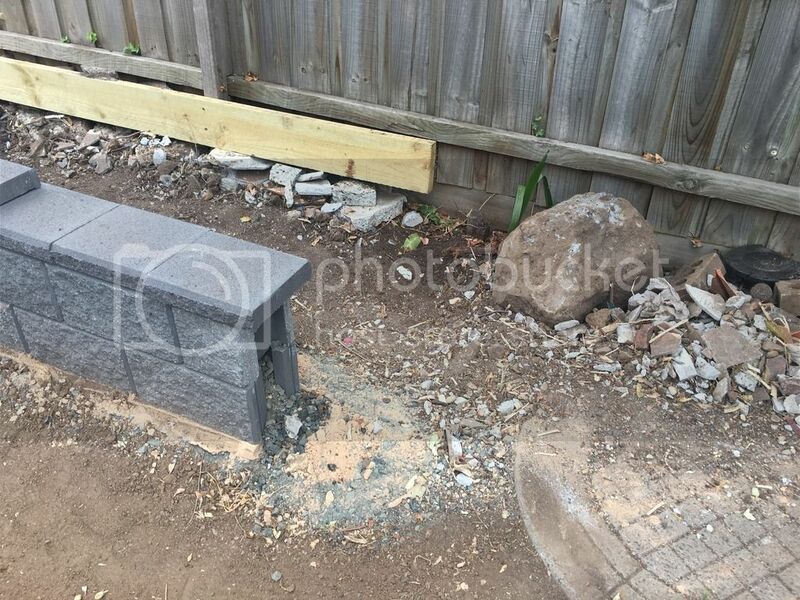 For item# 3, is the pavers can be fixed if there are damages on the edge and holes, or should I ask to replace those damage pavers? Really appreciate your time guys. You need to create your own thread and post this question elsewhere. It's rather rude to hijack a thread like gary's. If you wish to ask him a question you can also private message. I hope you find those answers and advice.